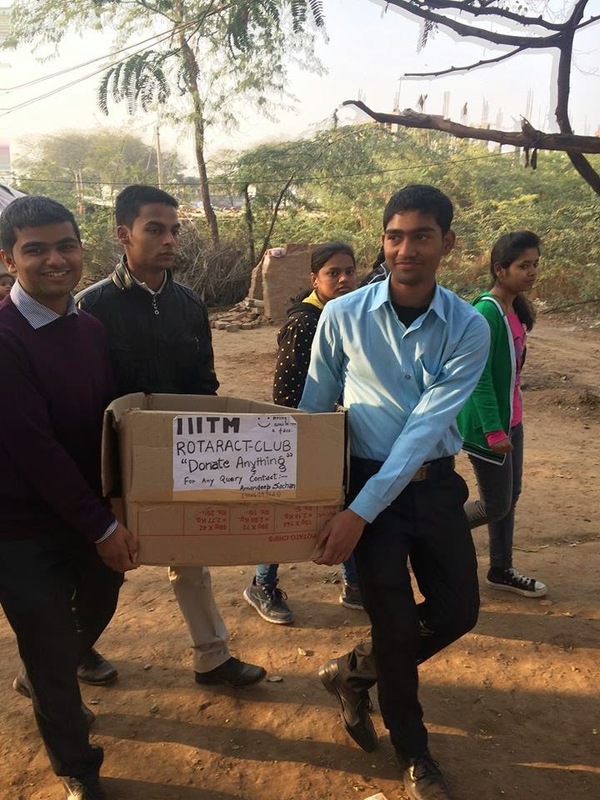 Rotaract Club Youth which is a social club of ABV-­IIITM Gwalior organised a Cloth Donation Camp under which the club members collected clothes from hostels of the institute . A large pile of clothes was made by whole hearted donation given by the students of this prestigious institute.s It is unfortunate of our nation that besides being a developing country there are thousands of people in our country who do not have even a piece of cloth to cover their body. So it was an another good intiative by this social club in order to help needy and poors. The club members went to the slum areas and distributed the clothes as per the requirements of the people present there. They distributed the clothes according to the size of family and almost everyone of them got clothes. The poors heartly accepted the clothes and showered the club with their blessings. The wide smile that the club members experienced on the faces of the people is enough for them to take such initiatives every time.